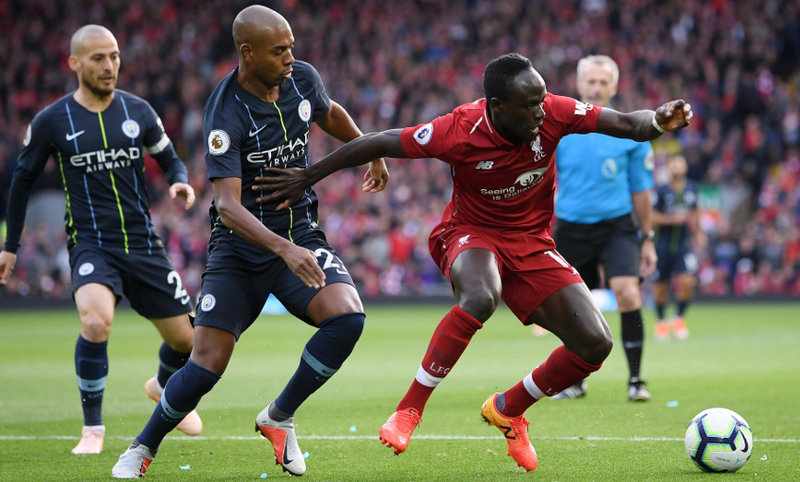 Liverpool and Manchester City played out a goalless draw at Anfield in a tense and hard-fought affair that keeps both teams' unbeaten Premier League starts intact. Riyad Mahrez missed a late penalty for the visitors in a game of few chances. An incredibly tense affair ends goalless at Anfield as both teams maintain their unbeaten starts to the Premier League season. City had the opportunity to win it four minutes from time when they were awarded a penalty, but Riyad Mahrez blazed his attempt high over the crossbar. Gini Wijnaldum is shown yellow. He sends his spot kick flying over the crossbar. A major let-off for the Reds! Penalty to Man City following Van Dijk's challenge on Sane. Sturridge rises to meet Gomez's cross, but he can't get any power behind his header as it bounces down for Ederson. 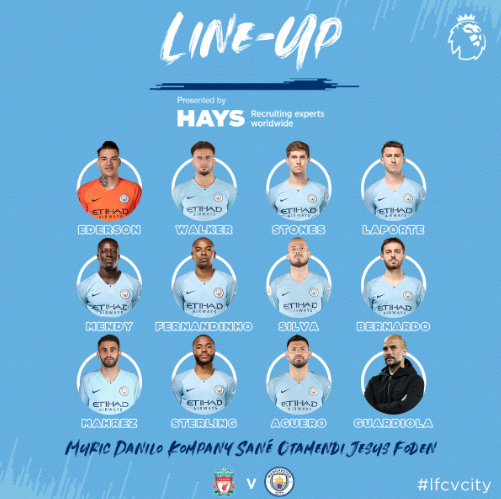 Sterling makes way for Sane for the visitors. City threaten as Sterling fizzes a ball across the face of goal. It's picked up by Mahrez, whose low drive towards the near post is turned behind by Alisson. 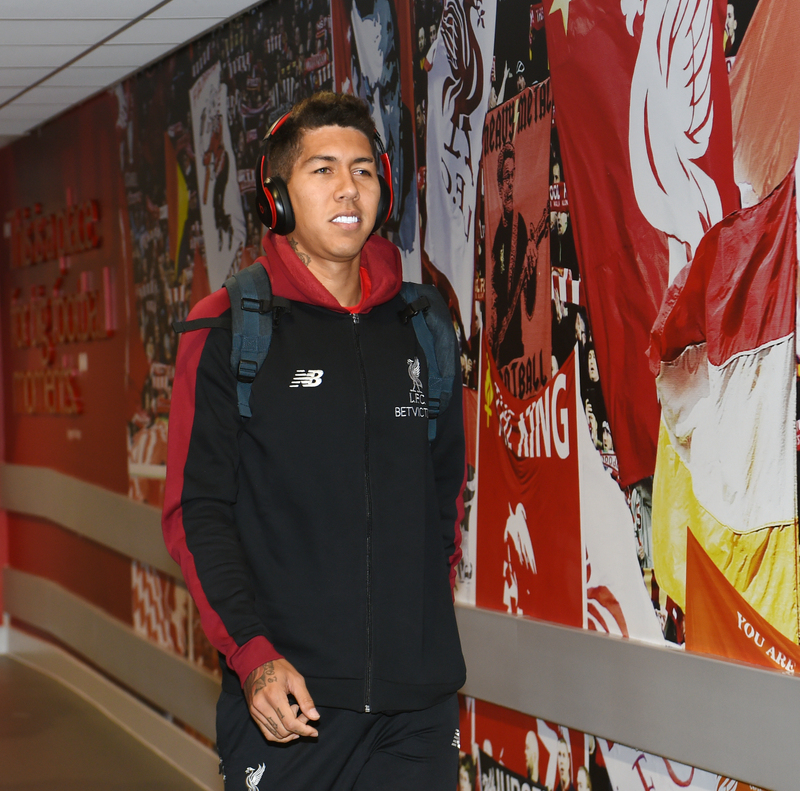 Liverpool make the change and Sturridge replaces Firmino. 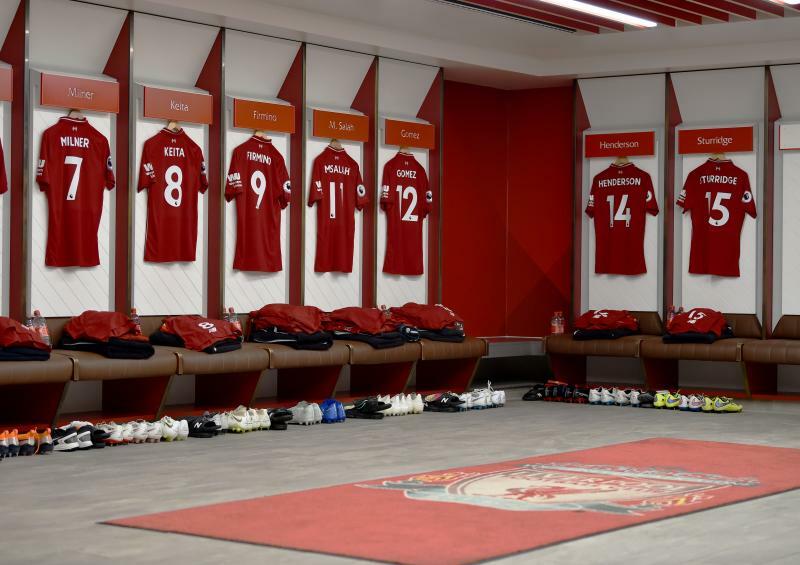 Daniel Sturridge is being readied for Liverpool. Salah gets the right side of Laporte to reach Robertson's long ball forward from a quickly-taken goal kick, but he drives over the crossbar. City make a change - Aguero makes way for Gabriel Jesus. 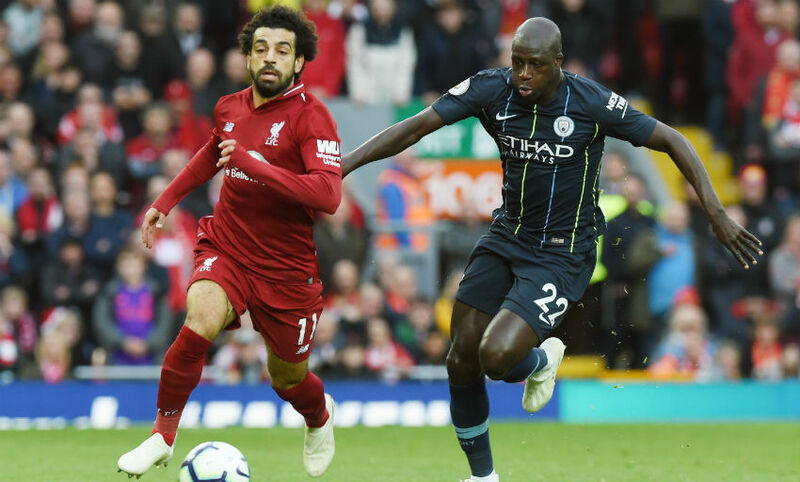 Mendy sees yellow for holding back Salah. Gomez rolls it back to Salah just inside the box, who takes a touch before trying to bend it into the far corner. Ederson claims, however. Now Mahrez shoots low into the arms of Alisson from an angle. City fashion the game's first real chance as they break forward at speed and David Silva feeds it to Mahrez, who holds off Robertson before striking wide of the far post. Fernandinho lines one up from 25 yards but it's never close to troubling Alisson as it sails well wide. Aguero is booked for a late challenge on Henderson. Robertson's driven centre bounces up off Firmino and City clear. Henderson's ball sends Gomez into space down the right. He touches it inside and strikes with his left, but it's blocked by Laporte. 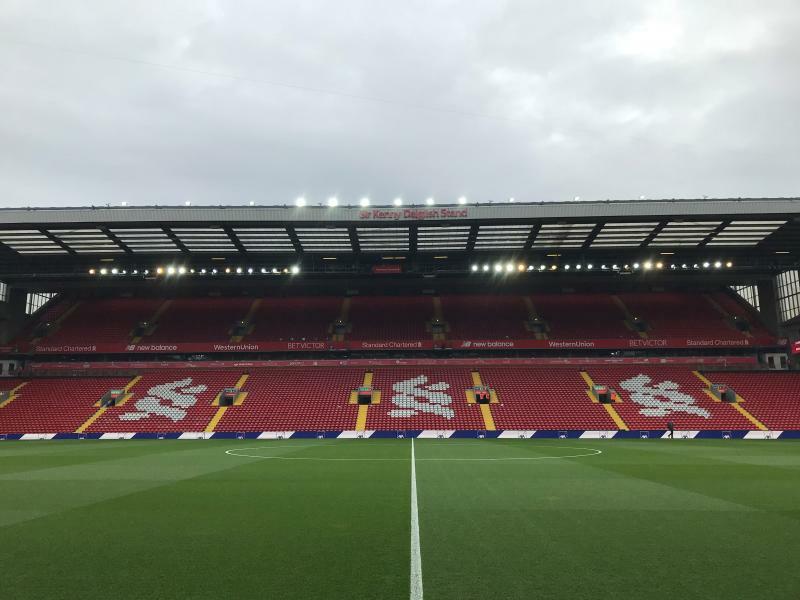 We're back up and running at Anfield as Liverpool re-start the game via Gini Wijnaldum. We reach the half-way stage without a goal after a tense opening 45 minutes with few chances. Van Dijk stops David Silva in his tracks inside the area. 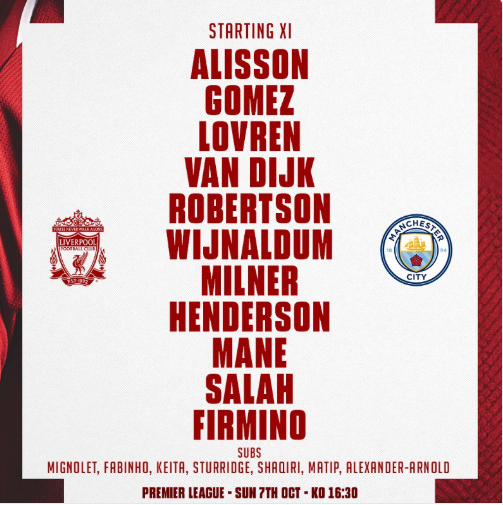 And here's confirmation of that change - Keita replaces Milner, who can't continue due to injury. Blow for Liverpool here as Milner goes down. Looks like he'll need to go off. 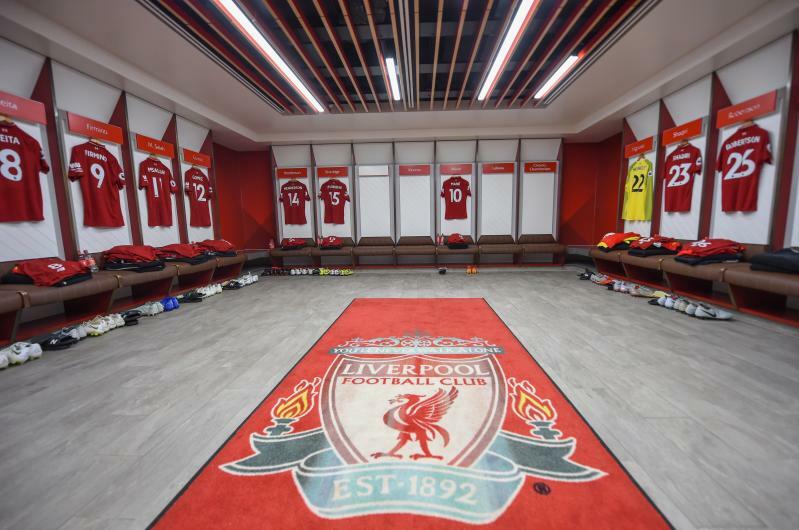 Naby Keita is being readied. Bernardo Silva is booked for a late one on Salah. Diving header from Lovren to clear from Aguero. The ball is worked back into the area and the two collide, but City's appeals are waved away. Henderson's ball over the top into the path of Salah's run inside from the right is a fraction too far in front of the No.11. 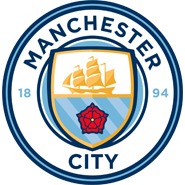 City launch their first attack as Gomez loses out to Fernandinho and Sterling scampers into the area before trying to cross, which is blocked at the near post by Lovren. Lovren nudges Milner's corner down inside the area, but he can't get any power or direction on it and Ederson collects. Important interception from Mendy for City to prevent Salah from reaching Mane's cross yards from goal. 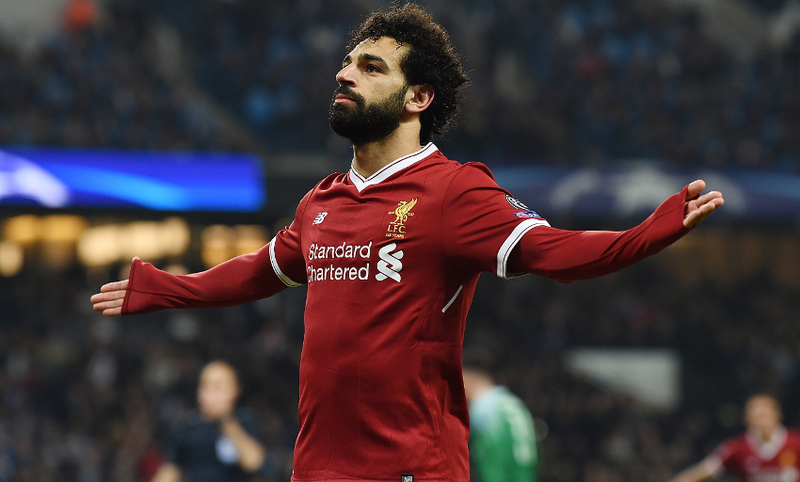 The first chance of the game falls Liverpool's way as Salah cuts beyond Stones but strikes wide of the near post. Salah almost rolls the ball back to Wijnaldum just inside the box, but City scramble it clear. The visitors break and Walker looks to release Mahrez. He's offside, however. 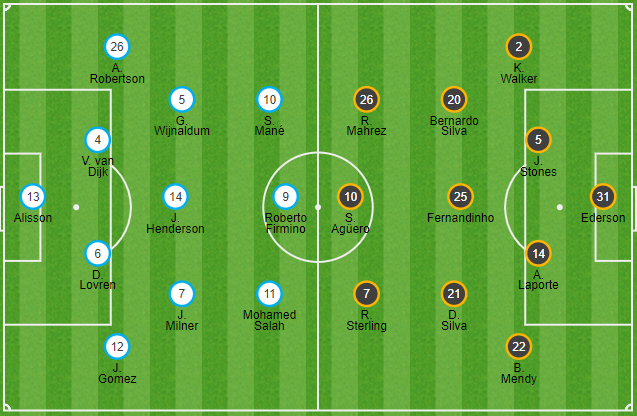 Man City get the game under way at Anfield. How will the sides line up? 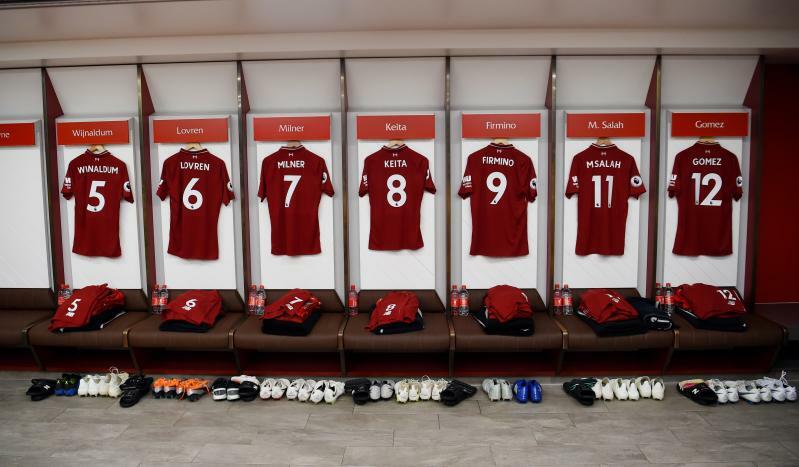 Dejan Lovren is one of two changes Liverpool make to their starting line-up as he and Jordan Henderson replace Trent Alexander-Arnold and Naby Keita in the XI. 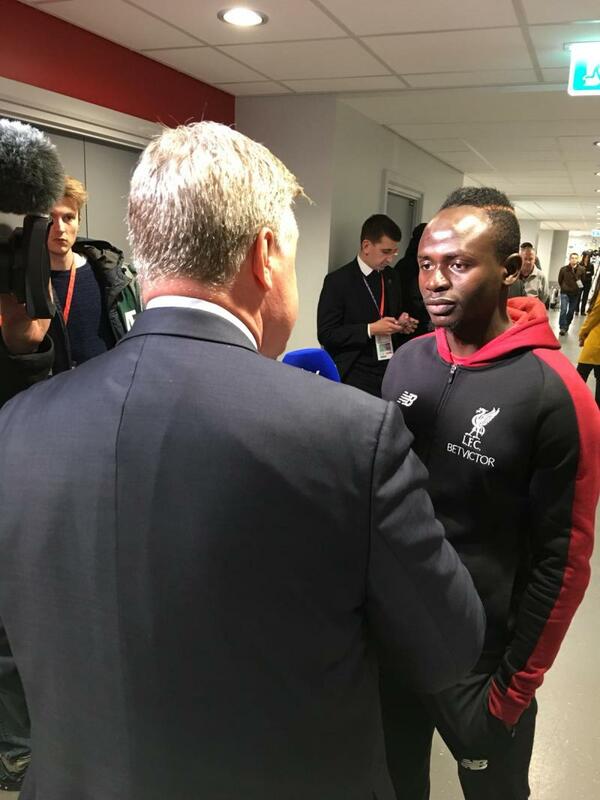 Pre-match media duties are handled by Mr Mane. Fancy a wager on the match? Bet Victor has got you covered. 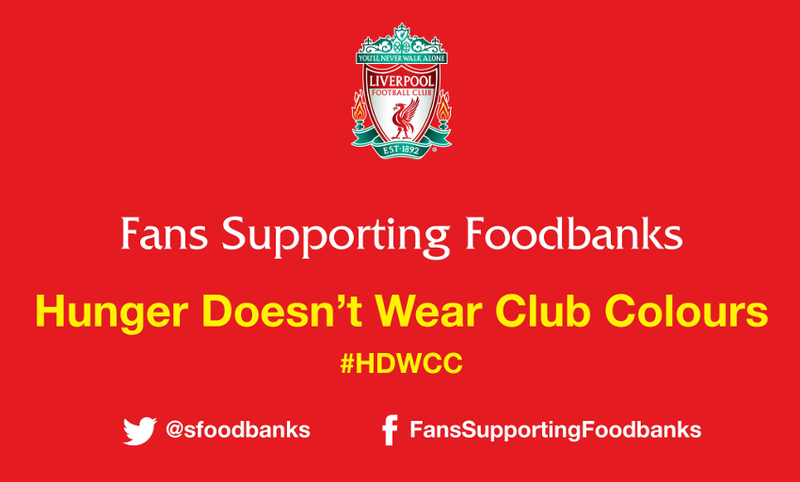 LFC is continuing its support of Fans Supporting Foodbanks this season - and you can donate ahead of today's match. 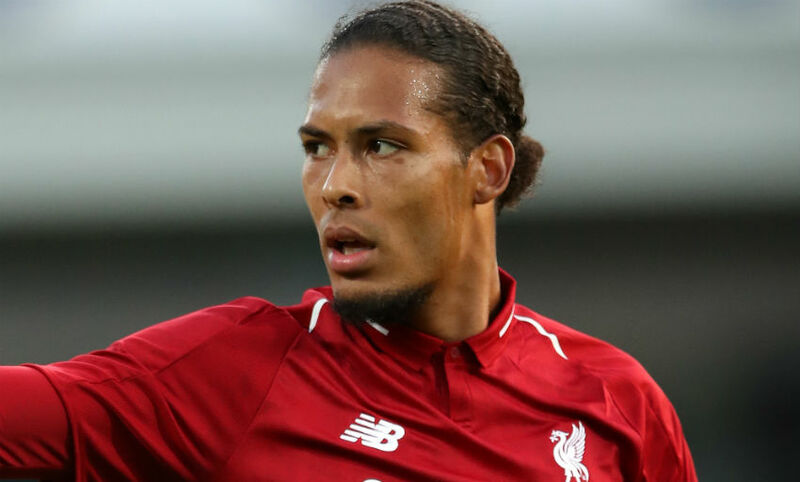 Liverpool may have beaten City three times in a row last season - but Virgil van Dijk is only interested in the present and the future, not the past. 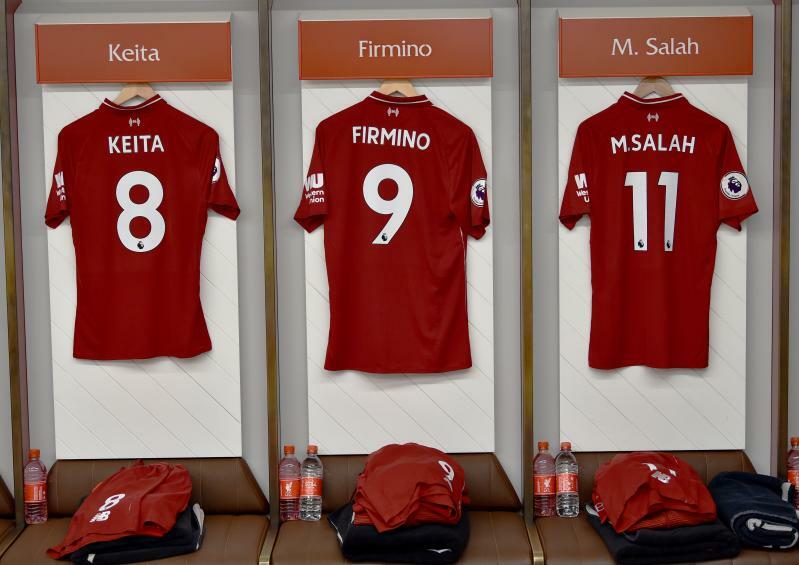 "We made it very difficult for them at times in those games, obviously they had their moments in the games as well," the Reds' centre-back told Sky Sports. "But we do not need to look back at those three games, we know how difficult they are to play against and it's going to be a tough game." 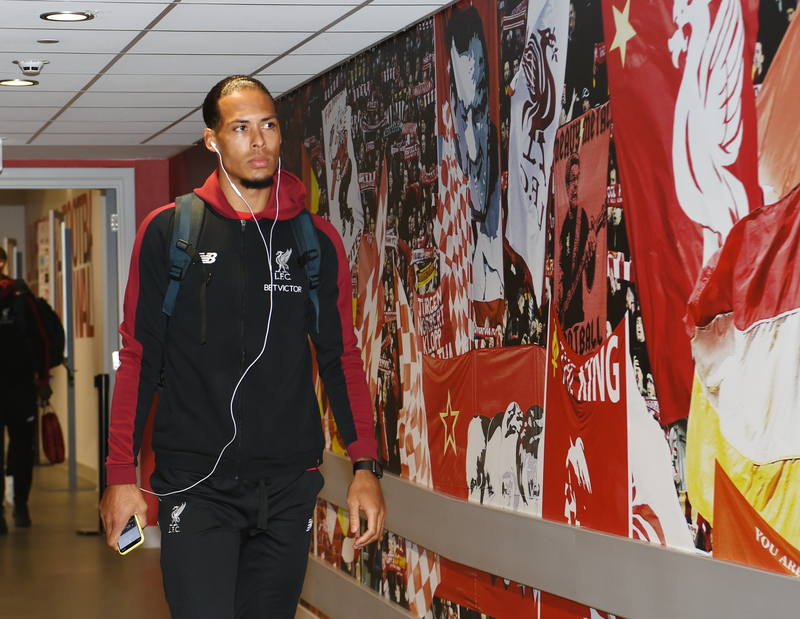 On the key to competing for the Premier League title, Van Dijk continued: "We've had a good start to the season. The season has just started so there is so long to go. "The key to winning or even competing to be champions is consistency, to win difficult games, perform week in, week out and grind results out. City did that very well last season, that's why they became champions." Who is likely to play this afternoon, then? 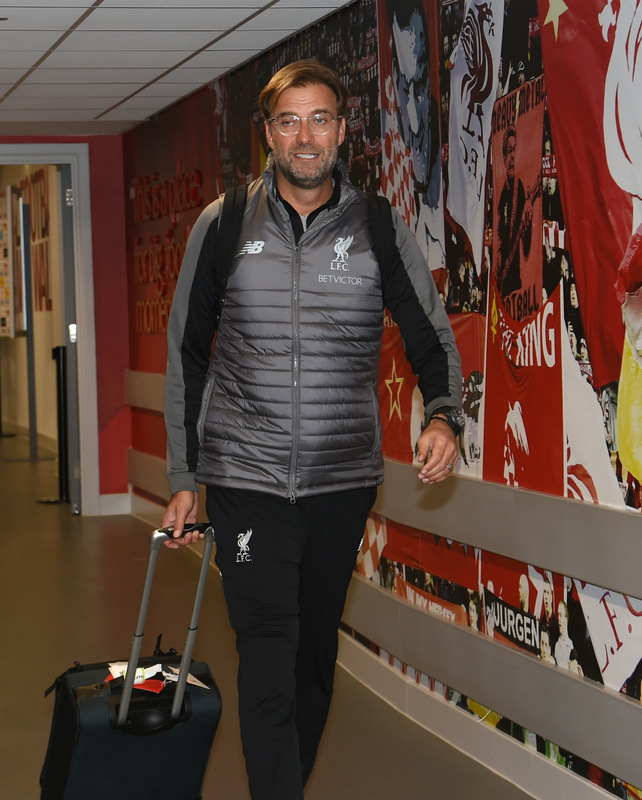 Well, Liverpool's only doubt is Naby Keita who, of course, was forced off during the midweek meeting with Napoli due to a back spasm. Adam Lallana is in full training following a groin injury and could return. For City, Fabian Delph is definitely out while Ilkay Gundogan is a doubt because of a knock. Kevin De Bruyne and Benjamin Mendy could be available, though, after they trained on Friday. Supporters attending Sunday's match are advised that a major event taking place in the city may impact journeys to and from the ground. 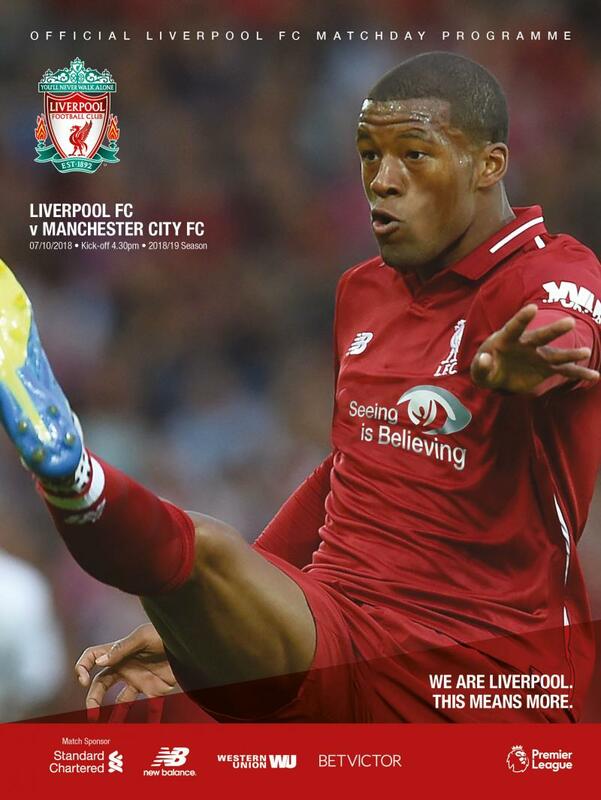 Gini Wijnaldum adorns the front of today's official matchday programme. 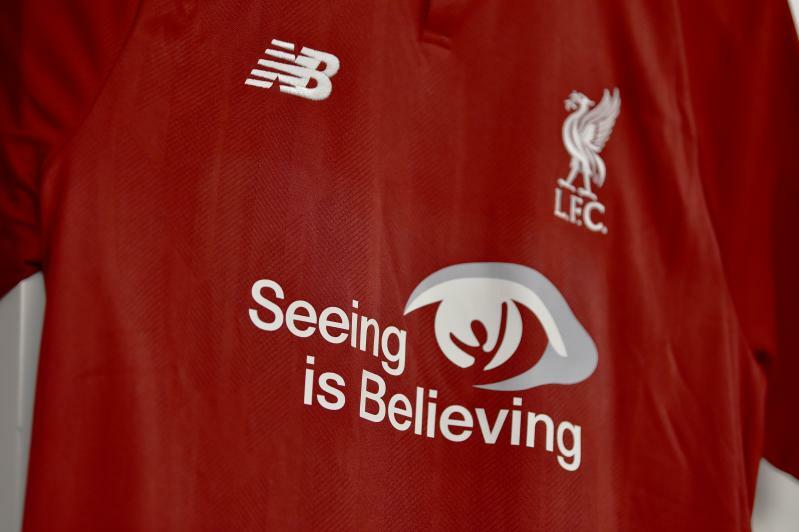 The Reds will wear special edition shirts in support of the 'Seeing is Believing' initiative, which is supported by Standard Chartered. 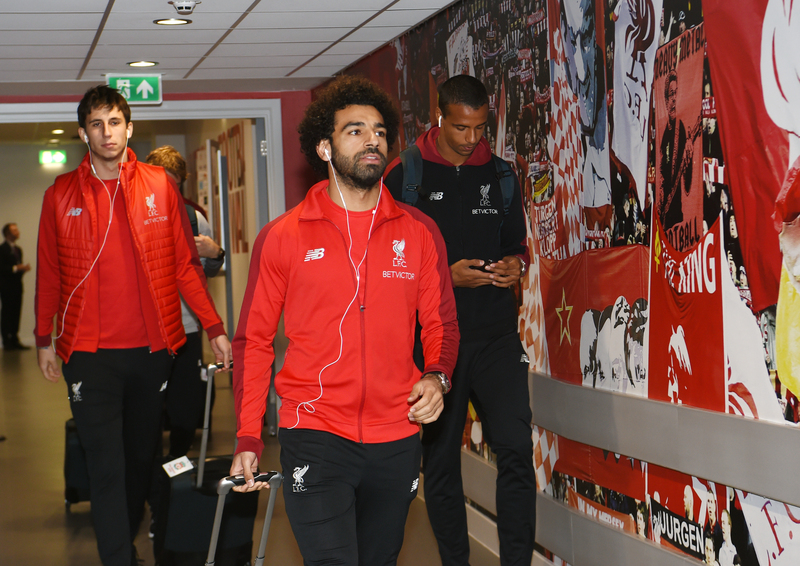 Only Ian Rush has netted in four successive games for Liverpool against Manchester City - but Mohamed Salah will equal that feat should he score this afternoon. 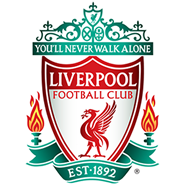 Liverpool are looking for a sixth successive Anfield league victory over City for the time since 1972-1981, when they won 10 in a row. The Reds have scored in each of the last 24 league encounters at Anfield. The last time they failed to find the net was in a goalless draw in August 1986. 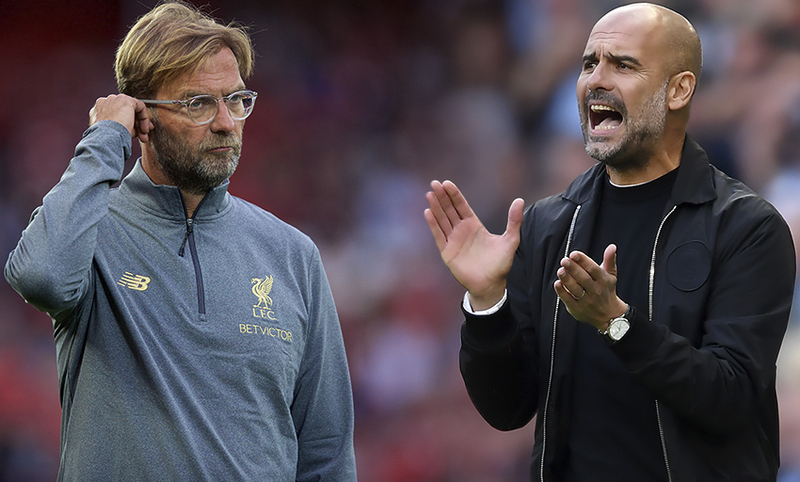 Liverpool have lost only three of their last 36 league games while City have suffered defeat in just two of their last 53 top-flight matches. Since Boxing Day, Salah has failed to score in just one league game at Anfield - the goalless draw with Stoke City in April - finding the net in 11 of the last 12. Rondos were on the agenda at Melwood on Friday as the Reds got ready for City. 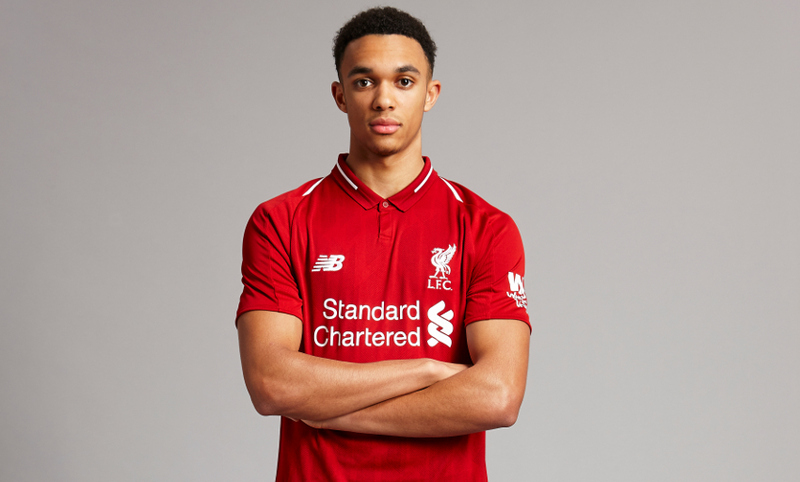 Trent Alexander-Arnold turns 20 today - and there's no prizes for guessing what present our No.66 wants most. "You want a good and happy day on your birthday - and nothing would make me happier than getting the three points," Trent told us in an typically-engaging interview this week. The boss covered a lot of ground during his pre-match press conference on Friday. The Reds and City head into today's clash neck-and-neck at the top of the Premier League. Liverpool take on Manchester City at Anfield this afternoon - as if you needed reminding...! 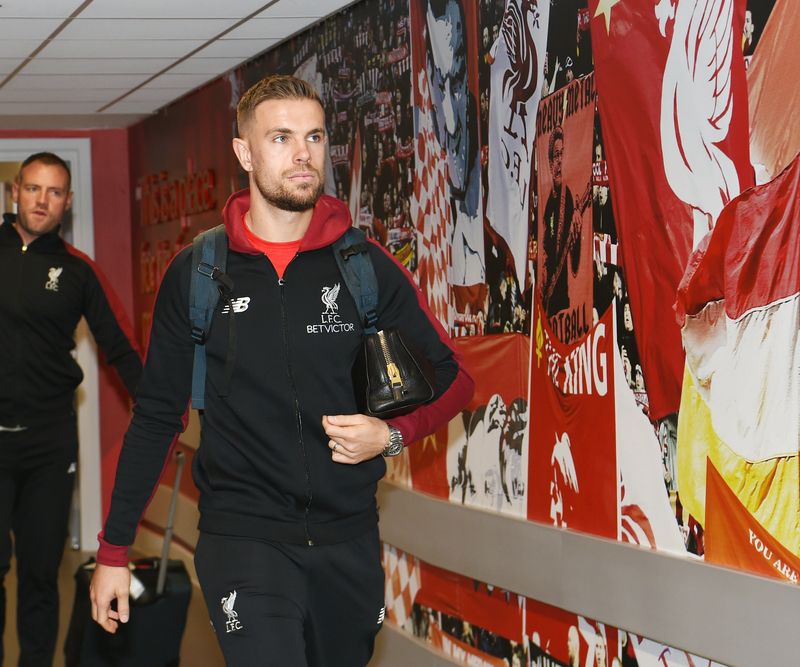 As usual, our live matchday blog will provide the best rolling coverage of all the build-up, action and reaction from Anfield.